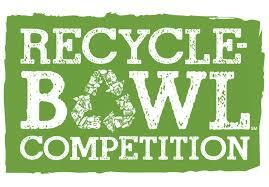 Emmanuel Christian Academy is one of six schools in Akron who are winners of this year’s Recycle-Bowl Competition. Emmanuel received a cash prize of $250.00 and a pizza party for the school who recycled the most in the multi-grade category. Emmanuel collected and recycled 7.61 pps and .95 tons of paper overall. All prizes will be awarded in January 2019. This paper drive was designed to prove that Akron’s school staff and students, parents, community members, and local businesses can help save trees, which purge the atmosphere of greenhouse gases just by giving our trash a second life. The receptacles are still in place and are accessible 24 hours a day, seven days a week. Filling up the collection bins helps the schools raise money for clubs, their recycling efforts or team uniforms. For more information on the competition or on paper recycling at the Akron school locations, contact Johanna Barnowski at Keep Akron Beautiful, (330) 375-2116.